A gaming headset that gives you comfort that won’t quit. You’ll be ready for a marathon—this behind-the head headset relieves pressure and keeps you comfortable for hours. The flexible, noise-canceling microphone cuts background noise—and rotates out of the way when you’re not using it. You can plug into your sound card via 3.5 mm jacks or connect digitally to any USB port for enhanced audio. With an adjustable, behind-the-head fit and a silicone-lined headband, this gaming headset gives you comfort that won’t quit. 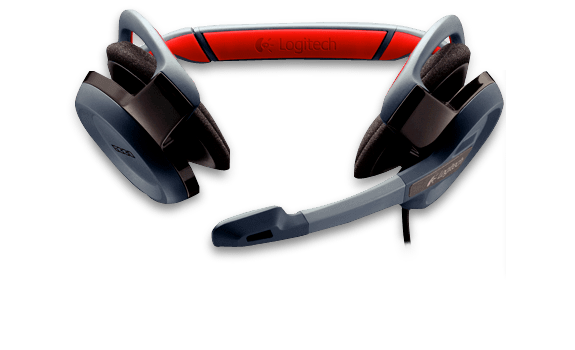 It gives you a lightweight, personalized fit—the first of its kind in gaming headsets. The silicone-lined headband with pivoting ear pads relieves pressure so you can stay comfortable for hours. It reduces annoying background noise for clear, intelligible voice commands. You can position the microphone right where you want it—and rotate it out of the way when you’re not using it. You’ve got options—connect digitally to any USB port for enhanced audio or directly to your PC sound card via 3.5 mm jacks. You can adjust the volume or mute the microphone without pausing the action. The spring-steel core is strong yet flexible. You’ll enjoy more accurate sound thanks to the neodymium magnets. When you’re connected via USB, it gives you enhanced audio with higher highs and lower lows. Don’t need the whole cable? You can wrap it up and keep it out of the way.